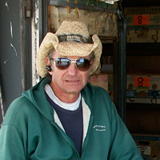 I am in the antique auto parts business, but it is far more than just a business to me. I can remember when I was 10 years old helping a friend’s father put a ‘50 olds V8 into a ‘32 Ford. To me, the business of having car parts for sale is all about the memories. I also remember waxing my dad’s ’50 Mercury and putting a transmission into a ’53 Ford. Every antique truck part or master cylinder that leaves my shop is a memory of time spent on antique vehicles growing up. When I was younger I used to ride around in my friends fathers ’52 Ford tow truck and think about how much I would love to work with these classics in the future. My passion for antique cars and trucks has only grown stronger over the last 30 years. Before I opened my shop I was always searching for master cylinders or carburetors for cars, trucks and sometimes tractors. Now that I own my own shop, I proudly have antique car and truck parts for sale in Florida. However, no matter where you are, I can get you the part you need! To keep the hobby of antique car restoration and rebuilding alive, I enjoy supplying voltage regulators any other car parts for sale that my customers will need. The satisfaction of a completed rebuild starts at the sound of an engine being started for the very first time and the feeling of accomplishment running through your veins. For so many years I have been able to enjoy that and would love to share my passion for antique cars and trucks with those around me. Feel free to call or email me any time, I will always be glad to hear from you. Thank you for visiting my website! CLICK HERE FOR SHOWS WHERE YOU CAN STOP, SHOP AND MEET JOHN.